Virtual Round for BAJA SAEINDIA 2018 is on 14th and 15th July 2017. Things before sowing your Baja team seed. Make rule book as your teams twinkle twinkle little star. Make everyone to read is wiser and deeper. Make sure the respected stream are well learnt in their calculation and design. 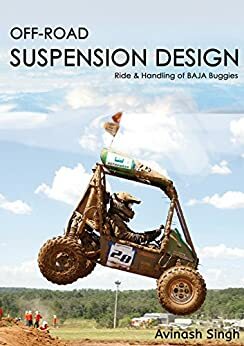 So Baja is an event which provides opportunity to students from all over India to design and fabricate an ATV buggy for testing and racing at NATRAX. Now the need is that it act as an initial scrutiny for 450 plus teams and to check the basics of design and fabrication probablity of the vehicle. If you are trying to participate in BAJA SAEINDIA you need to clear the virtual round that is alo called Design Round. Design round means you have to imagine and draw a logical design according to rules and fit it using all your engineering knowledge that will make a potential ATV concept buggy. Now designing and fabricating a design you need certain things. You need a max 25 member team who will work on various subassemblies or department of team. For ex. Design , Analysis , Fabrication, Market Research. You need to be good at design softwares like CATIA , SOLIDWORKS ,LOTUS , ANSYS ,HYPERMESH , ADAMS etc. You require a very sound and logical knowledge of you core subjects like Strength of Material , Theory of machines , IC Engines , Engineering and Machine Drawing ,Automobile Engg etc. You or your team must be very good at observing and reverse Engineering. Financially sound for registration and logistics for Virtual Baja. Great knowledge and expertise with good communication skills to explain your design. Finally to clear Virtual Baja you need to convince them through your design that actually can you fabricate this design into real one ir not. 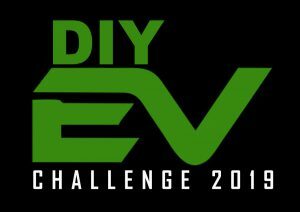 Because 450 teams are participating and out of them only 150 are going ahead so its very important that your design should meet and match the current ATV standards. Means you might ended design a good vehicle according to you but the design is outdated then it will be problem for you. So keeping updates is also imp. If your team is New, focus on the fundamentals of mechanical engineering since the judges will test your ability and feasibility to fabricate your design into an ATV. Make sure all the members going for this round are well aware of the rule book guidelines (the values particular like tab thickness) and technical specifications of your design. Have a cogent explanation to why are you applying a particular part over the other. eg: Why have you applied a 10 G force for frontal impact on your chassis? ( A commonly asked question) or why a CVT and not manual gear box?, etc. Apart from the technicalities of your design, make sure you work well on the Project plan (A self explanatory Gantt chart is suffice) and the Cost Estimation. During my second time, they skipped all the slides initially and jumped directly to the project plan and cost estimation slides, asking about 3–4 questions from each slide. DFMEA is another topic you should be investing your energy upon. If you are an Old Team, the judges would emphasize more about the failure you had (if any) during the previous year and how do you plan to prevent those in t upcoming design. Work on design optimizations, new mechanisms and innovations since they expect you to bring up something new using your prior experience and skills. You might face questions which could be harder than those asked to a newer team but a scientific reasoning and a good confidence would definitely take you through. Make contacts with other teams on the first day of the Virtual round (Written test day). This would really help you a lot in the log run! Students at BAJA India are really helpful and friendly since we share the same passion (probably that is why I am writing this article) and you can discuss about your queries or any problem you are facing with your design to get a better solution/additional opinion. You can also approach teams going before you for the presentation round and get to know their feedback (really helpful!). Besides this, we even imported material for our buggy in collaboration with other participating teams during both the years which out-turned in much less cost and hassle. Try working on a design which is ready to manufacture so that you don’t have to apply reverse engineering during the manufacturing phase of your ATV. This is really laborious and only a handful of teams follow this approach. But doing this would require you to deeply study the design of each component of your vehicle resulting is reasonable answers to the judges in Virtual round, facile and expeditious manufacturing and thus fulfilling the overall objective of this competition – To widen the sphere of your knowledge and make you a BETTER Engineer. Divide your work according to the sub assemblies of your ATV. Make a team plan for the coming one or two months to ensure the completion of your presentation before time. finally a good team work of technical sound and dynamic presentation will lead you to success. Mjor sub- assemblies includes. 1.1 Prepare a good cad model as per described constraints of BAJA rule book. 1.2 Ensure proper space in the roll cage for sub assemblies. 1.3 Check your Roll cage on impact test(front, rear, roll over, side impact) and formulate a table for the results obtained. 1.5 Material selection and total estimation of weight of roll cage and vehicle. 1.6 Calculate the expected center of gravity. 2.2 calculate the gear ratio, gradeability factor, acceleration, tractive effort. 2.4 prepare a graph for engine RPM vs speed vs tractive effort in all gears. Acceleration , max speed values in each gear , Engine specs etc. 3.2 mention all the angles included in steering assembly such as king pin inclination, steering angle, camber, caster, toe in angle. 3.3 calculate steering effort, turning circle radius. Rack and pinion is to be essentially used. Show the specs such as steering angle, Steering ratio, lock to lock angles, turning radius. Bump steer elimination can be shown. Customized knuckle designs(if used) and material used can be shown. Steering effort is a one favorite ques. Figure out to find it. 4.4 A circuit diagram containing master cylinder to brake pads. Circuit layout , braking distance , pedal force , master cylinder specs to be shown. 5.1 calculate the weight distribution, stationary vehicle while braking and acceleration. 5.2 design of spring and damping ratio. A arm analysis and specs. Wheel geometry (front and rear). Simulation of A arm travel can be shown. Design validation, DFMEA, Project plan, Team distribution. 6.2 DFMEA is the most important slide in the presentation, judges will surely question you so, allocation of RPN number must be choosen wisely. 6.4 In the last slide you may include team management plan that makes an good impact too. DFMEA is critical. special attention. GO- GREEN: if you have any specific idea about reducing the smoke emission, or conrolling the CO,CO2, HFCs level, or reducing the noise level then allocate one slide, but be specific and have knowledge in depth. Every team comes to sell the same ATV buggy . so how you diffrentiate yourself from other? Attend the foreign Baja without spending money. Give specific minute values in ppt like number of bolts etc.